×16.5 ft. Length: 5m Wide: 50mm(2in) Thickness: 1.6 mm(1/16 in.). It has the ability to handle higher heat for improved performance. Stainless Steel Zip Ties. Ceramic Heat Exhaust Wrap. Titanium high temperature wrap: 2500°F max. Model: Turbine. Manufacturer: Jones Exhaust. Muffler Type: Straight Through. Material: Stainless Steel. The item page will indicate which service is used for that specific item. Warranty: 1 Year. UPC: Does Not Apply. 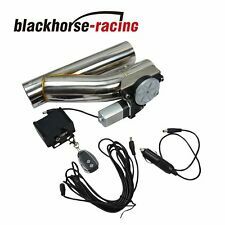 4.5 out of 5 stars - Jones Exhaust Turbine Muffler / Resonator - 304 Stainless Steel - 2.5"
13 product ratings13 product ratings - Jones Exhaust Turbine Muffler / Resonator - 304 Stainless Steel - 2.5"
4" N1 Flat Tip Muffler w/ 2.5" Inlet (w/ Removable Silencer). 1 x " 4" Flat Tip Muffler w/ removable silencer. Weld on the new muffler. All vehicles with 2.5" inlet. Inlet : 2.5". Inlet Length : 2-1/4". • Body Size: 4" Round. costs as a result of this. • Shell Material : 409 Stainless Steel. • Overall Length: 13 1/4" across,4 1/2" deep. • 50,000 Mile Manufacturer Warranty. • One Sensor Port, No Air Tube, Reversible. Our entire product line of exhaust manifold is designed to produce maximum street performance in stock or mildly modified engines. These headers are precision machined from durable 16-gauge 304 stainless steel, providing excellent resistance to corrosion, heat and the elements in any environment. They feature mandrel-bent primary tubing for increased flow to let your engine really breathe. Unleash your vehicle's full potential, feel the increase in power when you stomp on the gas and get pushed back against the seat, hear the exhaust note’s rumble and turns into a roar when you accelerate. (The compatible is for reference). Best suited to racing applications. The Muffler is universal-fit. 1x Muffler. High performance / High flow. /FPO/PO Boxes. BMW E39 5 Series 1997, 1998, 1999, 2000 2.5L/2.8L/3.0L Engines. BMW E46/E39/Z3 2.5L/2.8L/3.0L L6 Stainless Performance Manifold Headers. Fits both the 2.5L, 2.8L and 3.0L L6 BMW Engine. BMW Z3 1996, 1997, 1998, 1999, 2000, 2001, 2002 2.5L/2.8L/3.0L Engines. Length in Feet: 16.5feet ( 5M ). Material: Vermiculite coated high temperature fiberglass wrap. Stainless Steel Zip Ties. 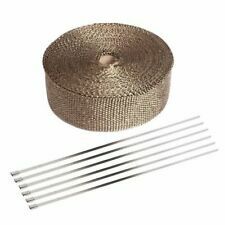 Ceramic Heat Exhaust Wrap. Silicate fiber exhaust heat wrap. Works perfectly on anything you want to protect or insulate from radiant heat. 2003 - 2008 Toyota Corolla 1.8L Catalytic Converter. We provide ALL Mufflers, Catalytic Converters, front pipes, resonator pipes, flex pipes, mid pipes. Catalytic Converters are not for sale in California. 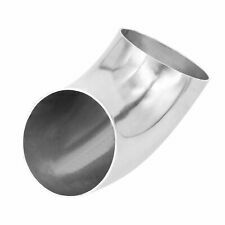 2.5" Universal High Flow Stainless Cat Catalytic Converter 410250. • Type: Federal / EPA Semi-Universal. 1x universal catalytic converter. • Substrate: Ceramic. • Style: Universal up to 5.9L 6,000 lbs (Gross vehicle weight) OBD 1 & OBD 2. Exhaust Header Wrap. It has the ability to handle higher heat for improved performance and durability-and with a cool carbon fiber look! Ceramic Heat Exhaust Wrap. Reflect Gold Tape. Silicone Tape. Heat Shrink Tube. EPA Certified. Excellent qua lity. 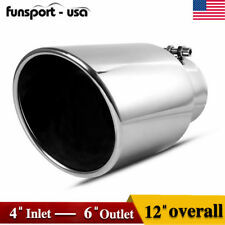 2.5" Thunderbolt Catalytic Converter High Flow Stainless Steel. Approved: Federal / EPA. Durability and Safety: Catalytic case manufactured with high quality stainless steel for durability and safety. Trending at C $535.02eBay determines this price through a machine-learned model of the product's sale prices within the last 90 days. Muffler Will Increase About 8%-10% Horsepower. Made of high quality T-304 stainless steel ( light weight design ). Getting More Air Into Your Engine And More Exhaust Out Is The Key To A Performance Motor. Loosen the screw on the Turbo Sound Whistle. Place the Turbo Sound Whistle body inside the exhaust muffler with the larger opening facing the inside of the muffler. Screw the screws on the Turbo Sound Whistle to tighten the item so it doesn't fall off while driving. Fits Infiniti Q50 & Q50S Sedan 2.0T / 3.0T / 3.7L 2014-2018 fits RWD & AWD Version. Exhaust Headers. Special note for exhaust installation on the rear section exhaust installation, if you tighten the nuts&bolts on the exhaust on one side and move on to the other side the exhaust on left and right will not line up evenly and will be off in position. 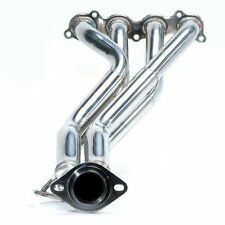 Subaru Impreza WRX & STi, Legacy GT, Forester XT, Outback XT Turbo Exhaust Manifold Header (Slip Joint 2pc) w/ Up Pipe. Subaru Impreza WRX STi 2002, 2003, 2004, 2005, 2006, 2007, 2008, 2009, 2010, 2011, 2012, 2013, 2014, 2015, 2016 EJ20/EJ25 Turbo Engines. 1320 Performance equal length header is specially designed to increase power and torque by improving exhaust flow. 2004-2008 Forester XT - requires STI oil pan and pick up, 2002-04 WRX oil cooler assembly, and 2002-04 WRX oil feed pipe. Carven Exhaust Systems are handcrafted, built from 409 stainless material assembled with tig welding processes and are engineered to maximize performance. All Carven Exhaust products are proudlyMADE IN THE USA. 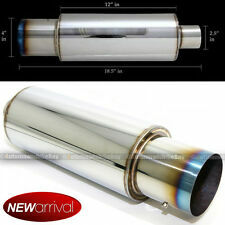 Looking to modify the look of your exhaust without changing the sound?. Fit for : 2013 Nissan Altima L4 2.5L (2500cc). 2012 Nissan Altima L4 2.5L (2500cc). 2011 Nissan Altima L4 2.5L (2500cc). 2010 Nissan Altima L4 2.5L (2500cc). 2009 Nissan Altima L4 2.5L (2500cc). • Prevent the tail pipe deformation, to prevent the heat back. • Rolled edge design. • Ideal for vehicles with diesel exhaust system. • Made of ultra light weight stainless steel ( Powder coated black). Vinyl Wrap. Quantity of Rolls: 2 ROLL. Smoke will be a natural by-product of the curing process as well as a temporary discoloration. We will try our best to solve the problem with you. We are trying our best to describe all details of the product here. Rolled edge & angle cut design. Perfectly decorate the exhaust pipe of your car. (The compatible is for reference). Fit for vehicles with diesel exhaust system. Total Length: 12". Easy to install. Exhaust Header Wrap. It has the ability to handle higher heat for improved performance and durability-and with a cool carbon fiber look! Stainless Steel Zip Ties. Ceramic Heat Exhaust Wrap. Reflect Gold Tape. GREENEXHAUST Highest Quality - Lowest Price What You're Getting: Direct-Fit Heavy Duty Catalytic Converter for: 2007 2008 2009 2010 2011 2012 NISSAN SENTRA 2.0L 4 CYLINDER and is 100% Manufactured in Canada. About Us: Here at Green Exhaust we prioritize quality above all else. We live by the saying that if we ever ran into a customer of ours we'd love to say hi to them not hide from them and that is what separates us from the here by day gone by night sellers on eBay. You may see a cheaper price elsewhere but you get what you pay for and we guarantee you will never find a cheaper price for the quality we sell. We have been in business for over a decade now at our Toronto based warehouse which carries all front pipes, resonator pipes, flex pipes, mid pipes, mufflers and converters for all makes/models of cars, vans and trucks. Exhaust systems and exhaust parts like mufflers are an essential item for any truck. 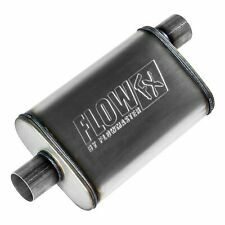 Mufflers are designed to help your truck run more smoothly and to keep it from creating too much pollution through the exhaust. As a result, it's crucial to understand how your exhaust systems operate and the components of most units. What does an exhaust system do? Your muffler and exhaust kits will take the residue caused by your running engine and pump it out of your system. It typically uses large pipes to concentrate this waste product. It will then move the residue through your muffler pipes through a variety of filtering processes. The idea behind muffler kits is to avoid causing poisoning or pollution inside of your vehicle. You can also improve the performance of your vehicle in subtle ways. A high-quality muffler can help the performance sound of your vehicle or even improve its fuel efficiency performance. These kits are designed to create a comprehensive package for your exhaust system's needs. Kits can also be tweaked to boost your performance. A benefit of these kits is that most amateurs can install them. This means you won't need to contact a professional. However, you may want to if you're not too familiar with auto repair work. What happens if an exhaust system starts to break down? When exhaust systems start to break down in your Ram, you will likely begin to see some problems. First of all, the car is going to produce thicker and more noxious exhaust. Then, your truck is going to run more loudly. High-quality Dodge exhaust systems are designed to last on your Ram for years without repair. Those who like to spend time mudding or going off-road in their Dodge Ram truck or other vehicle, however, may cause damage to their exhaust systems more quickly. That's because they will strike the ground repeatedly and may even get clogged with mud. What kinds of parts are in muffler exhaust systems? Those who are concerned about exhaust systems in a vehicle should understand the different parts that help them operate. The cylinder head and exhaust manifold help to remove exhaust from your car and transport it outside. The turbocharger helps to tap into this exhaust to increase your engine power and give you a little more speed. Next in your exhaust systems is the catalytic converter. This item takes your exhaust, filters it, and makes it less environmentally problematic. Last but not least, the muffler pumps exhaust out of your vehicle. It is designed to muffle the sound of your exhaust systems and help your car run more quietly. People who want to increase the noise of their vehicle, like a Dodge Ram, often add two mufflers to give it a deeper tone.